Since its inception the College has trained close to 15,000 people from 26 African countries. All training comprises theory as well as practical skills and has been developed in close collaboration with conservation agencies. Training options include Certificate Courses at a higher education and further education level as well as Skills Development Programmes, Learnerships and Short Courses. These fall under the general topics of Wildlife Area Management, Field Ranger Training, Sustainable Use and Field Guiding, and Community and Youth Development. All courses cover a range of relevant subjects, for instance Game Ranger training includes modules on conservation issues, security practices, wildlife monitoring, HIV / AIDS, and health and safety. 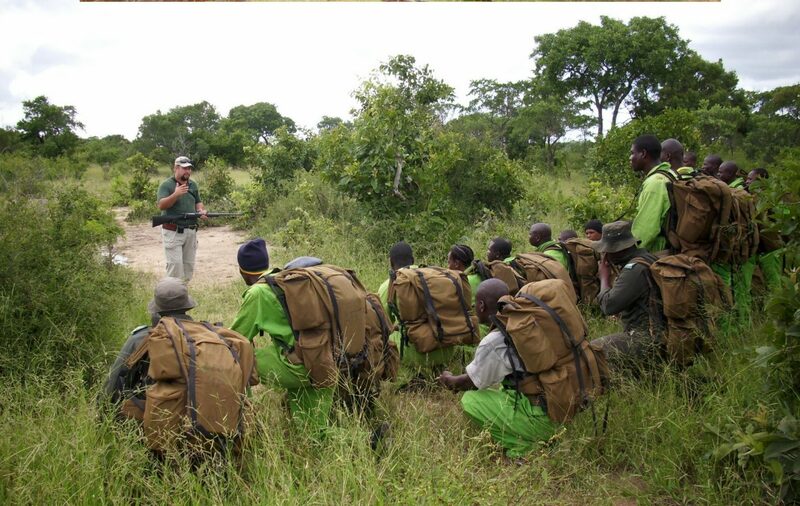 In 2008 SAWC received its first grant from Tusk to support seven students (three from Swaziland and four from Zimbabwe) to attend the Game Ranger training course. Subsequently we have continued our support, providing funds for the Wildlife Guardian Programme which trains field rangers to deal with the current rhino poaching crisis. Robust, targeted training is vital to enable African conservation workers to achieve their potential and develop in-country capacity to protect wildlife and the wider environment. Continuing to provide this opportunity to committed fieldworkers is an indispensable step in securing the continent’s natural heritage.